A delegation of the Constitutional Court of the Republic of Kosovo, composed of the Vice President of the Court, Ivan Čukalović, Judge Altay Suroy and the Chief Legal Advisor of the Court, Sevdail Kastrati, stayed for an official visit in Ankara on Tuesday, 6 March 2018. The visit of the delegation of the Constitutional Court of the Republic of Kosovo took place at the invitation of the Court of Cassation of Turkey, to attend the celebration of the 150th anniversary of the establishment of this court. 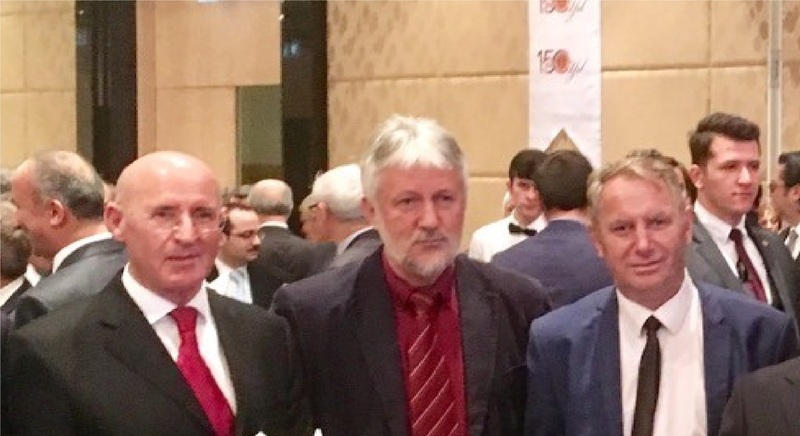 In the framework of the planned activities on the occasion of marking the jubilee anniversary of the Court of Cassation of Turkey, the delegation of the Constitutional Court of the Republic of Kosovo also attended the International Symposium on: “The Role of the Court of Cassation in the Judicial System of Turkey”. During the stay in Ankara, Vice President Čukalović and Judge Suroy were received in a separate meeting by the President of the Court of Cassation of Turkey, Mr. İsmail Rüştü Cirit.